Peel prawns shell, split up, marinated with Knorr Seafood Powder, sesame oil and pepper. Wash and rinse lettuce, then drain. Grill the prawns until cooked. Seasoned seaweed mix with stir fried sesame. 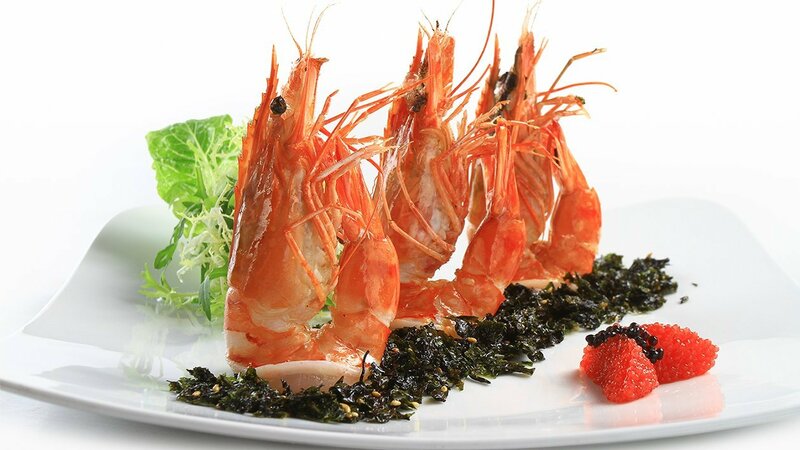 Put a layer of seasoned seaweed with sesame on plate, then display the prawn on top. Decorate with lettuce and salmon eggs.